You’re almost there. Your app is ready for the limelight, you’ve tested user acquisition campaigns with platforms like Facebook and Google to figure out your audience and measure conversions, and you’ve soft-launched in test markets to get a sense of install costs and initial monetization metrics. You are starting to get some traction, and you’re ready to turn on the growth machine. However, there’s one final step you should take before flipping the switch on ramping user acquisition campaigns. Gain full confidence in your data by modeling initial user metrics and visualizing the unit economics of these initial user cohorts to make sure that your investment in ad spend is ROI positive. Quantifying the ROI of your future UA campaigns (and periodically tweaking assumptions based on changing user behavior) is essential to reaching scale in a profitable manner. It takes a two-pronged approach to scale your app business: constantly tweaking your user funnel to optimize for engagement / retention, and figuring out how to monetize these current users and future cohorts at scale as acquisition costs inevitably rise over time. Ideally, you have a basic understanding of your unit economics early on, but can also model scenarios of rising install costs and better understood LTV as longer term cohort performance can be observed. The first thing you need to do is get a handle on who your users are. Many companies use intuition to target users, but I recommend using some of the audience defining tools provided by leading ad networks to confirm your users with a smaller set of installs during your soft launch. Work with your ad partners to confirm your intuition or discover who your app appeals to, then modify your app to better suit the needs and tastes of your target cohort. As this audience performance starts to become measurable over time, you have a fuller understanding of your users and look to replicate those audiences across different ad networks, potentially at a lower cost. The next focus needs to be the profitability of your ad spend. If your app is not profitable via IAP, ad revenue, or subscriptions, you have a serious problem on hand and scale is not something you can be focused on. However, if your user acquisition strategy looks like it’s profitable, then it’s time to dive into the numbers to see what the scale potential might be. Cost per install (CPI) or cost per action (CPA) are foundational metrics every mobile development team should focus on. CPI covers how much it costs for you to purchase a new install, while CPA is the amount it costs to secure a user that performs a specific action within your app, such as completing the sign-in process or making an in-app purchase. This core acquisition cost is fundamental to every user acquisition campaign, and it’s important to understand that these costs do rise with volume as you saturate your initial target audience and the bidding for new users gets ever more competitive, particularly in gaming. This leads to the most important metric: Lifetime Value (LTV). LTV is a measure of the expected total earnings from a single user over the period of time in which they are a user of the app. LTV represents the monetization potential of an app and is key to understand before considering scaling up of any paid marketing. If you can show that you have an LTV in excess of the customer acquisition cost (CPI, CPA etc. ), then you have a ROI-positive way to acquire new users for the app. One simple way to calculate your LTV is to try Pollen’s LTV Calculator. At this point, you better understand the financial potential of your app and see the potential for profitability. If everything stacks up, and you have priced in a margin of error, you are ready to scale and “hit the gas” on your user acquisition spend, with the goal to substantially increase your user base and increase your earnings. Finally, once you’re ready to scale, consider how are you going finance this growth. Typical options include personal credit cards or venture capital but also look at alternative financing solutions like those provided by Pollen VC, allowing developers to use their app store earnings as a capital efficient way to finance growth which is also non-dilutive. Once you’re spending, look at other partners to help your app succeed. Companies like Tenjin are important for providing insights through analytics and attribution and to determine what is working and what is not. Set up analytics for understanding cohort behavior and track your performance through campaigns and never stop continuously measuring and testing everything relevant. Ultimately, scaling an app business comes down to execution and a firm handle on the numbers. Like a plant, healthy app growth needs healthy roots, in this case, metrics that indicate potential. Evaluate your app’s metrics, choose partners who are aligned with your success, and think through your finances, and you’ll discover the art of scaling in the app economy. Founder and CEO of Pollen VC, a fintech company giving developers faster access to their app store revenues, enabling them to rapidly reinvest their earnings back into their business. 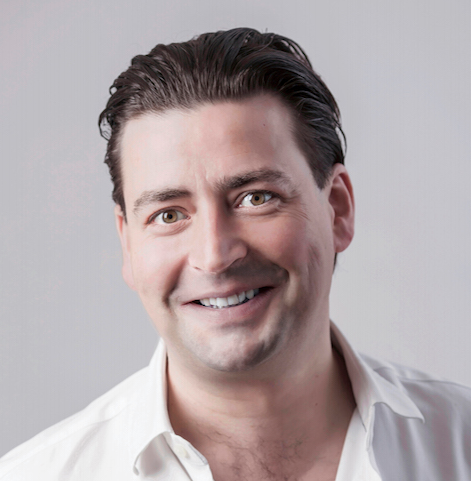 With over 20 years’ experience launching and building technology businesses, and having experienced first-hand the growth challenges and lack of financing options open to developers, Martin developed Pollen VC to marry his traditional financial markets and start-up experiences to create a disruptive new business model for fuelling growth the app economy.